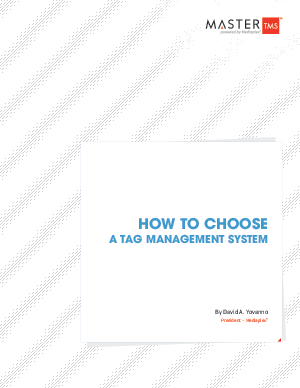 While the potential benefits of a great tag management system are large, not all such solutions are created equal. For the strategic marketing generalist, it can be difficult to choose the best vendor. This whitepaper is designed to help the marketer choose the best possible solution for their brand and company. It’s built around a set of eight questions you should ask vendors as you consider their various offerings and proposals. By choosing a vendor that delivers on all these issues, you can ensure that you reap maximum benefit from this important solution to real business issues.